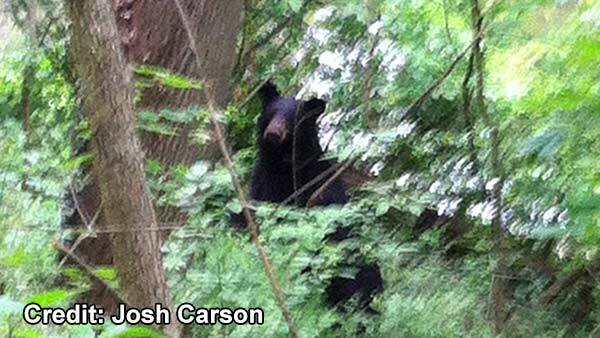 PHILADELPHIA -- A black bear was spotted in a Philadelphia park on Friday morning. 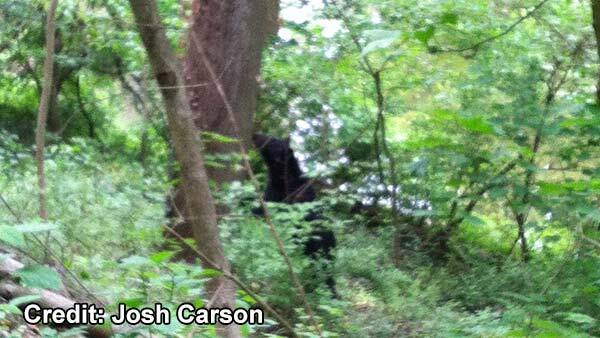 Action News viewer Josh Carson sent photos of the bear in the Wissahickon Valley Park. He said he couldn't believe his eyes! "I just threw my line in, caught a couple of fish. Heard some noise, turned around, thought it might be a coyote or a groundhog. 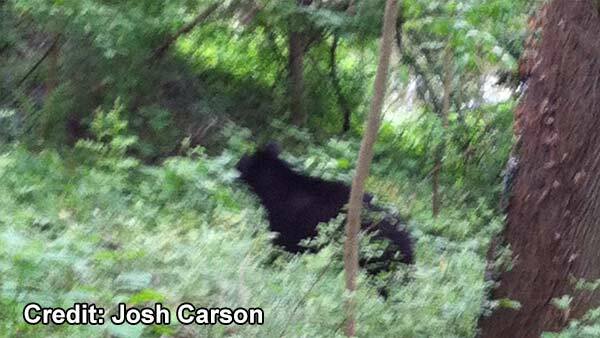 Next thing you know there was a 200 and something pound black bear," Carson said. Carson was shocked to see the animal just feet from his fishing hole. "My first though was 'Is this real?' I had to pinch myself twice," he said. 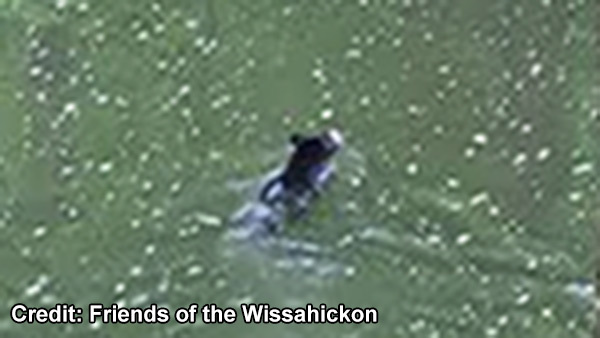 A black bear out for a stroll caused a stir in a Philadelphia park. Carson told us the bear went past Devil's Pool, crossed the creek, then disappeared on the Chestnut Hill side. He's thankful it was a peaceful encounter. "If it came near me I would have definitely been up to my waist in the water, I would have swam the other way. There was no way we would have had a standoff," Carson said. 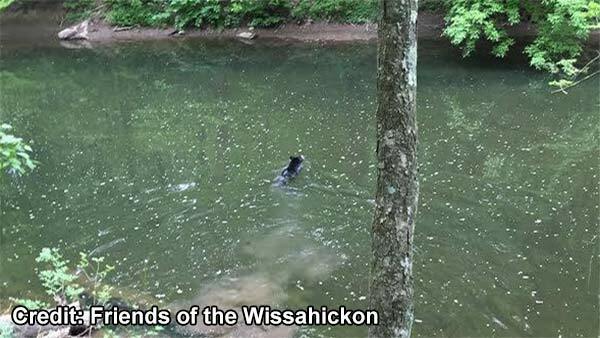 Meanwhile, Friends of the Wissahickon also posted photos. They ask that you use caution while hiking and keep your dogs leashed in the park. Typically, black bears don't like city life, but wildlife workers says this bear is probably looking for a mate - and some new territory - and just wandered too far. Game Commission Officer Jerry Czech says in his 17 year career, this is only the second report of a black bear in Philadelphia. 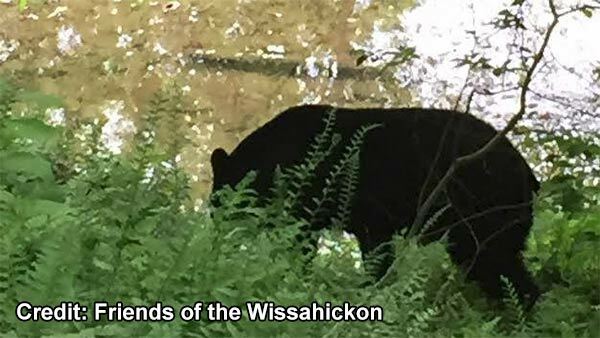 "There are about 20,000 bears in Pennsylvania and we don't have very many people attacked by bears at all throughout the whole commonwealth. When people are attacked, it's because they come between the mother and her cubs, or people are sleeping in their tents and have food in their tents, and the bear wants the food, not the person." Wildlife officials say if you are confronted by a bear you want to raise your arms and make yourself look bigger than you are and make a lot of noise in hopes of scaring it away. As for this bear, wildlife officials hope to tranquilize it and then move it into a safer place out in the wild.